In medieval times, animals who had been accused of committing crimes were brought to court, provided defence counsel and prosecuted in full hearings before a judge. 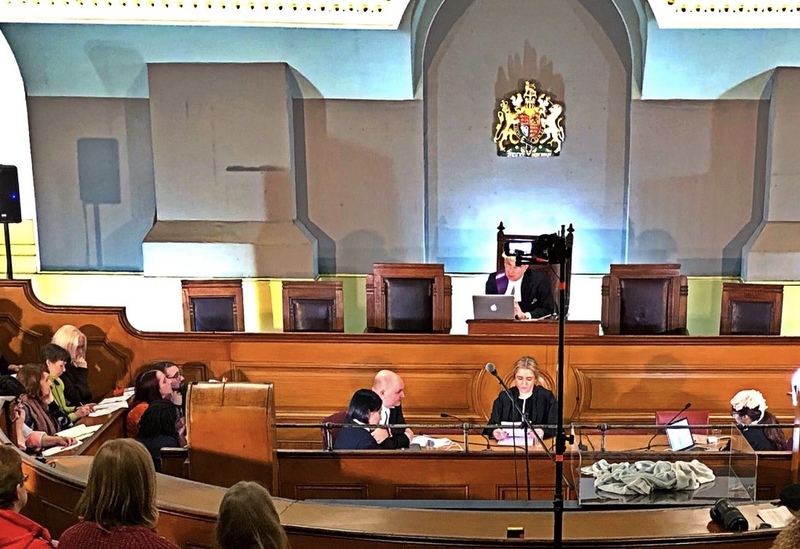 In a later trial I successfully defended a Staffordshire Bull Terrier accused of being a “dangerous dog”, after being provided with prosecution witness statements and a defence proof of evidence, just as I would in a contemporary criminal case. 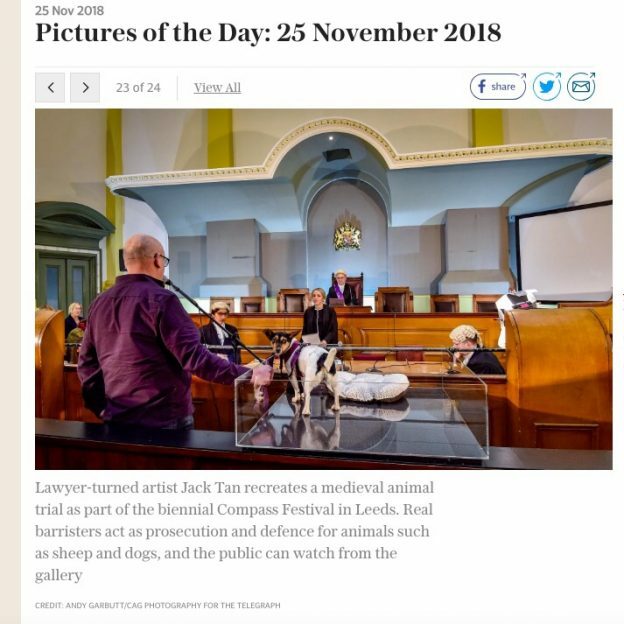 One difference here was that the dog appeared in the dock, rather than the owner. I have defended in real dangerous dog cases where of course the owner is the defendant, but in either case it is the animal that faces the ultimate penalty (a “destruction order”). Jack Tan is an artist with a legal background, his attention to detail meant that the proceedings were as faithful a representation of an actual case as could be imagined, albeit with a curtailment of jury deliberation time, compensated by the added interest that the audience could discretely “listen-in” to the deliberations, which were amplified. One juror went on to review the event here. The event was a huge success, and enormous fun. Jack Tan intends to bring the event to London- definitely one to look out for. This entry was posted in Featured on November 25, 2018 by Greg Foxsmith.